Make for Kayu Aya Beach at the parking lot near the beach, cross a little footbridge and you are at La Lucciola, a two storey colonial style building with open front and thatch roof, fronted by a lovely green lawn right on the edge of the beach. Go to the upstairs section, a balcony in colonial style, where a nice breeze is inevitable, and you get a better view of the Ocean. Luxuriate in the laid back and relaxed ambiance that the place has to offer. Young lovers be prepared for a romantic night with cool ocean breeze, cocktails and candles. 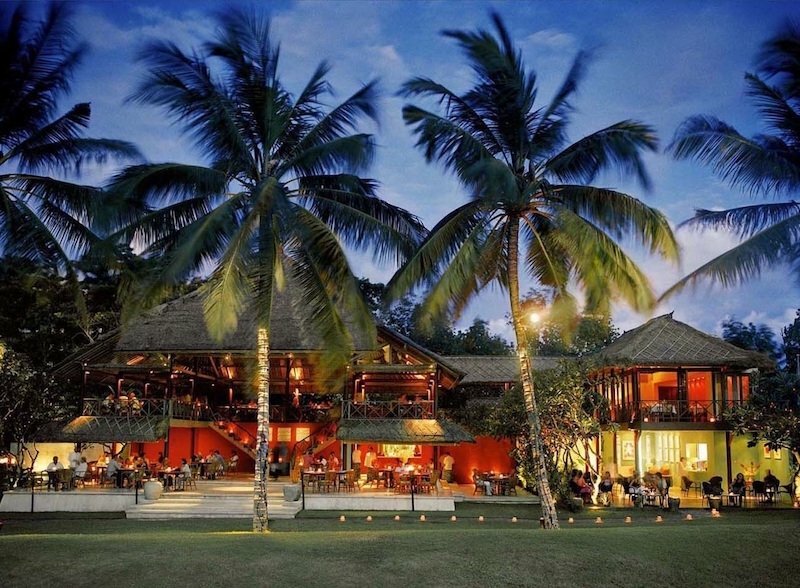 A variety of food served by friendly and welcoming staff in attractive Balinese costumes. Your visit to Bali will be incomplete without a visit to La Lucciola.